New research suggests childcare can improve the brain development of kids who live in chaotic homes. A team of researchers, including several from UNC, looked at poor children under the age of 5 living in loud, crowded and unpredictable homes in eastern North Carolina and central Pennsylvania. They found the children had decreased executive functioning—or the ability to learn and solve problems. 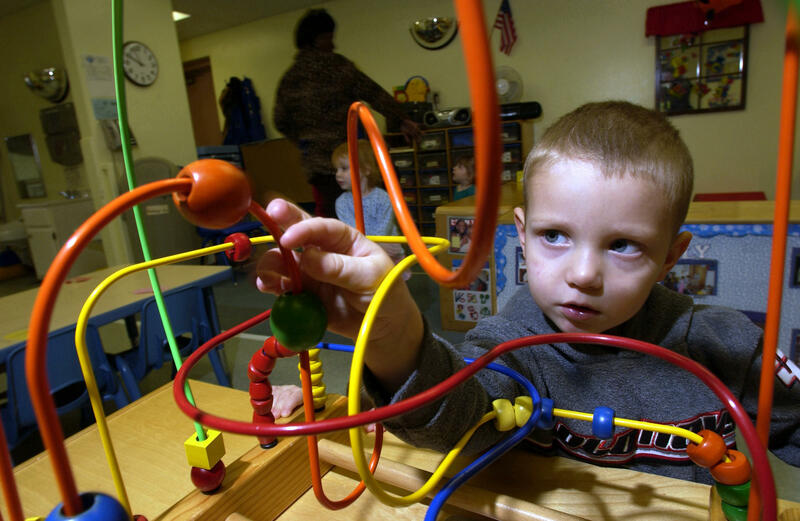 But lead author Daniel Berry of the University of Illinois says those negative impacts seemed to disappear for kids who attended non-parental childcare for at least 35 hours a week. "There’s a fairly robust relation between chaos and worse outcomes for kids who are in no care or little care," Berry said. "But when you’re in fulltime care, it seems to get rid of that negative effect." Berry says early brain development predicts social, educational and professional outcomes later in life, so providing childcare to poor children in chaotic homes could give them long-term benefits. "Early executive functioning is predictive of lots of other things we care about much later on—things like earnings, things like graduation rates," Berry said. The state's child fatality rate remained relatively unchanged in 2014 despite an increase in suicide. That's according to data released by the North Carolina Child Fatality Task Force. In 1972, Frances Campbell was a mother of two, simply looking for a part-time job in Chapel Hill, when she stumbled upon what would be a groundbreaking study on early childhood education. Researchers at UNC-Chapel Hill asked her to examine the benefits of early education on children from poor families. They called it the Abecedarian Project.